Know God by learning about Him by studying his word & memorizing his word. Love God by knowing him and talking to him, in praise, thanksgiving, and for help. Obey God because we know and love him and in turn share God with others. 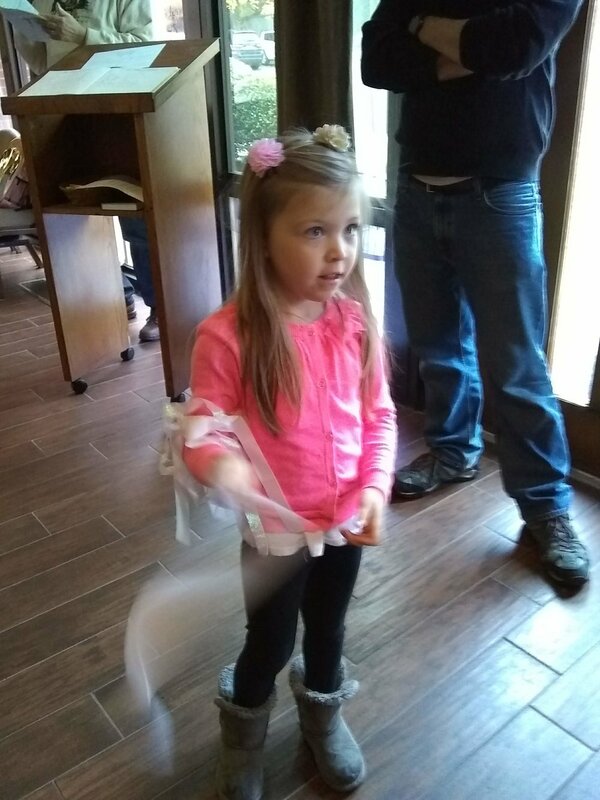 We have a children's ministry that is active and growing. We measure our growth in depth. Depth is how we want our children to experience and develop their faith. Learning and Worship for children are centered around their involvement. We have a staff/volunteer run nursery and Family Time (Sunday School) available. 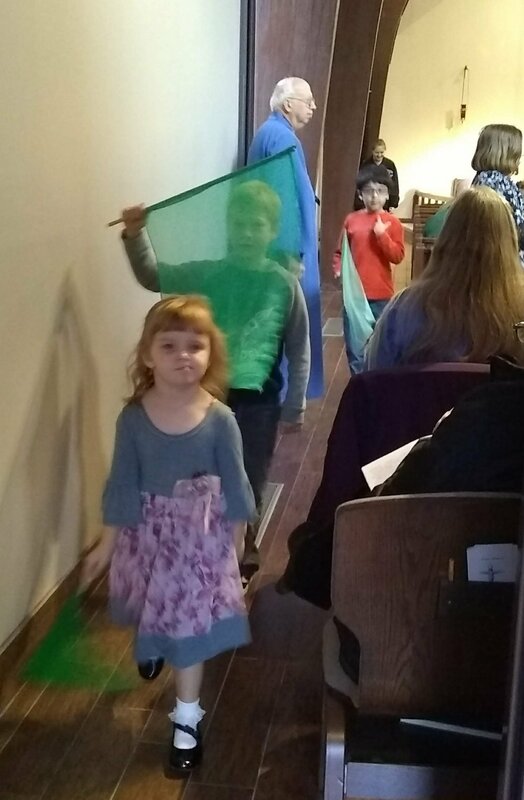 We encourage children 4 and older in worship and provide Worship Backpacks & Worship Flags to keep them engaged. The Children's Ministry supports the church's Mission Statement ‘Inward searching, outward seeking, forward together with Jesus Christ’. Thereby offering the various intergenerational Mission Connection opportunities for children, families, and community: Daily Prayer with Families, College Connection, Focus on Missions for Kids, Pjs, Pizza, & Parent's Night Out, and First Priority Kids Clubs in our local schools. Please check our CALENDAR for dates and times of all upcoming activities and events. Safety and communication are a priority for our families and children. We have policies and practices in place to keep everyone safe and informed. We have a variety of Social Media options as well as an online Church Newsletter and Children’s Ministry Blog to keep everyone informed about events and activities.